Feel the joy of expressing your beauty in the world with loving support and comfort every step of the way. Flow with the energy of abundance and attract your dreams by enhancing all your relationships… including your relationship with self. Expand your joy and beauty with the medicine of blossoming flowers. Flower essences are an elixir of love and healing frequencies that can be matched up to offer you magnificent healing, peace, and harmony. 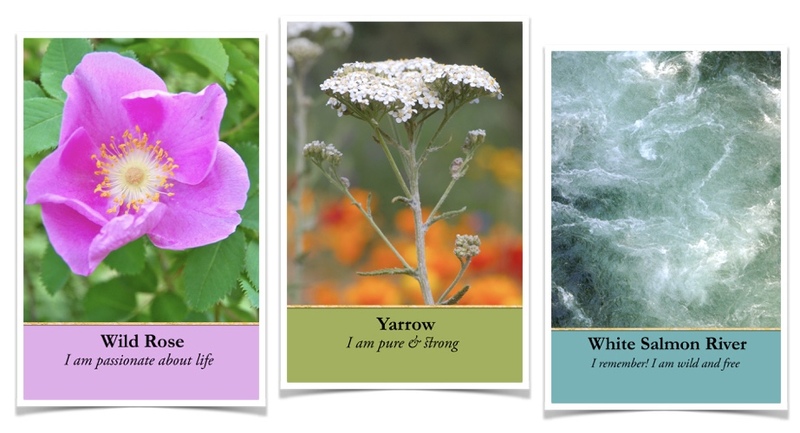 A flower essence formula and energy healing can ease your life, call forth seamless healing and resolution of old issues and traumas, and help you discover and express your true self. Taking drops of the subtle energy of flowers, plants, gems, elements, and fairy realms raises your vibration frequency and set you on a path of greater joy, abundance, and health—physically, emotionally, mentally, and spiritually. For over 20 years, Camilla has created flower and other essences including the Columbia River Gorge flower essences, Hawaiian Creation Essences, gem essences, elemental essences, unicorn essences, ancestral and starseed formulas, DNA healing essence, and thousands of formulas for others. In addition, she is a gifted vibrational channel for transmitting nature elemental, fairy realm, plant spirit, and celestial energies into subtle energy medicine for others. In addition to personal healing, flower essence formulas can be created specifically to support and tend land—your home, office, farm, retreat center.